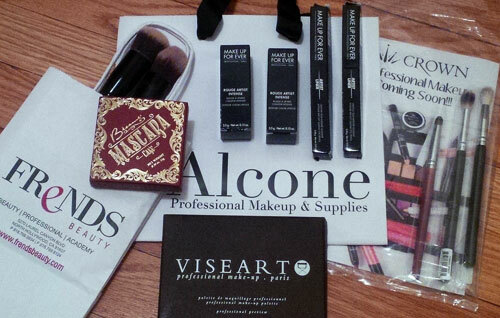 This Makeup Haul and Review is from The Makeup Show Holiday Pop-Up held in Metropolitan Pavilion on Dec 15, 2015. My friend and makeup enthusiast Amber was the one who told me about The Makeup Show; a series of national pop-up shops where beauty industry professionals congregate over deeply-discounted cosmetics and supplies while networking and getting tips varying from social media to makeup application. All I needed to hear was “deeply-discounted cosmetics.” and I was in. Here’s what I snagged at the 2015 Makeup Show Pop-Up Shop for the holidays. I have a fetish for densely-packed brushes so I hurriedly asked the Frends Beauty saleswoman what they should be used for. 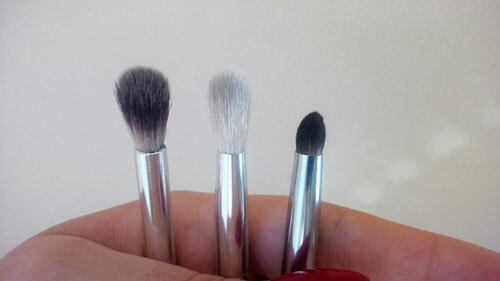 She replied ,”These are for buffing foundation, but for $5 you can use them for whatever you want” — Sold!! 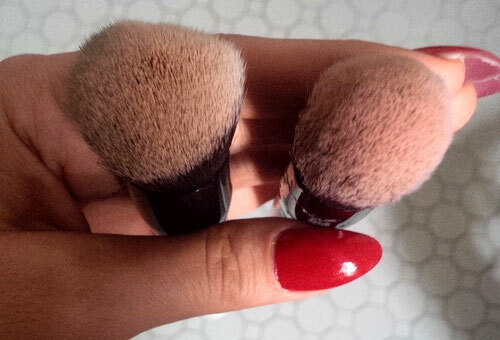 I use Stilazzi S107 domed brush with my E.L.F. HD maximum coverage concealer (which I use interchangeably as foundation) and tapered Stilazzi S108 brush with highlighters/illuminators, cream blushes, and even to transform my new matte shadows (see below) into contour powders. 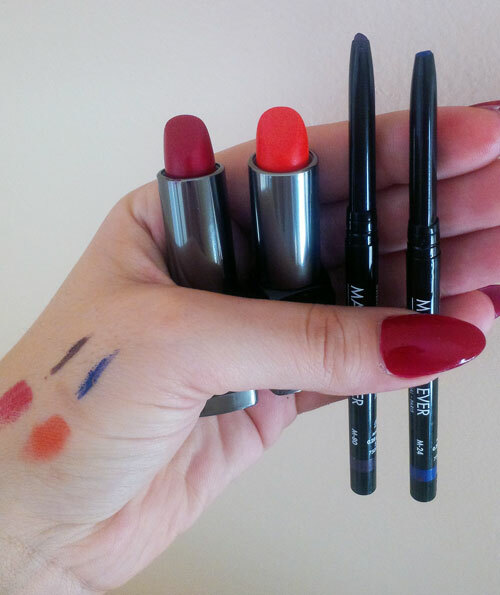 Shopping for matte eyeshadow is like shopping for a cardigan; boring yet necessary. I first looked at the Crown natural palette but deemed it too large for my subway makeup routine and not pigmented enough for my Mediterranean skin tone, so I kept wandering (for hours I might add) till I stumbled upon Viseart Eyeshadow Palette 1 – Natural Mattes at Alcone. The shadows are silky, pigmented and look like they’ll last forever – in fact, the saleswoman at Alcone reassured me that her professional makeup artist friend is still using it after 2 years. 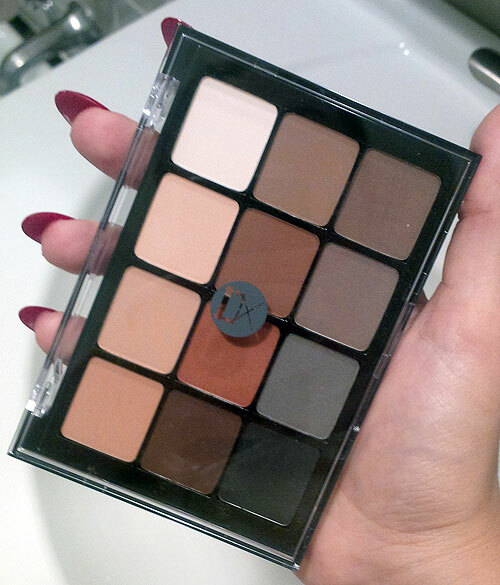 With the exception of having a built-in mirror, this matte eyeshadow palette is perfect. The Viseart natural matte palette was offered for $20 off the original $80 price tag. It was ultimately the most expensive piece I snapped up at the pop-up. I know I just kind of dissed their eyeshadow, but when it comes to brushes, CROWN is clearly king. I needed something to help me with my new matte palette (above) and the staff was knowledgeable about their products. 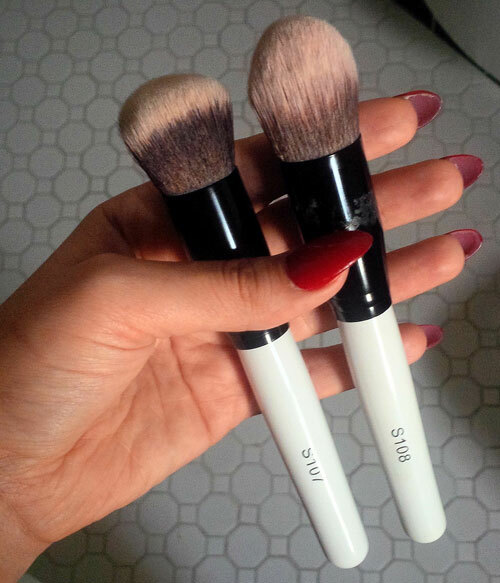 They explained the differences between natural and synthetic, but affirmed that the ultimate factor when choosing makeup brushes is personal preference. SS027 Deluxe Blending Crease – The Crown deluxe blending crease is full, very round and dense. It combines my preference for thick brushes with the necessity of a crease blending brush. Old habits die hard I guess! 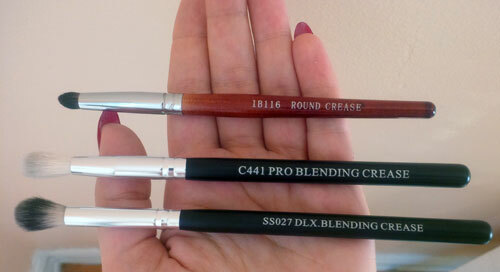 C441 Pro Blending Crease – Made of Natural goat hair, the Crown pro blending crease is narrow, and since it’s a natural brush, has stiffer bristles. I found it to create a more precise effect when blending. 1B116 Round Crease – Crafted of Italian badger bristles (how do they shave one of those?) I bought this for a quarter of the price of the similar Hourglass #6. Viseart shadows are very pigmented and this brush picks up a lot of color as well so I uese it for precise color applications. I then wipe it off and use it to blend and smudge. Buying MUF was a no-brainer as all their products are always on-point. I’ll also add that the staff had the patience of angels when dealing with my constant back-and-forth. I ended up buying 3 lipsticks, 4 eyeliners, and 1 brow pencil for under $60 and I still feel pangs of sadness that I didn’t leave with more. Moulin Rouge (43) – Classic red with warm undertones. Satin Bright Orange (40) – A trendy orange that’s perfect to play with in the summer or pair with brown shadow to make it work for fall, as in this look. Artist Liner – Intense Pay-Off Gliding Eye Pencil: Although my first choice would be the brand’s water-defying Aqualiners they had limited color selection. The sales staff assured me that Make Up Forever’s Artist Liner worked just as well and clients don’t notice much of a difference. M-24 Matte Majorella Blue – Resembles the cobalt blue that’s on trend every Fall. M-80 Matte Plum – A sophisticated eggplant purple. I-34 Iridescent Green Tree – My sister picked this one and last I remember it’s teal-green. Eyebrow Pencil in 05 – Also my sister’s – nice from what I saw. FACE Stockholm Art Eye Pencil – This was the brand’s first makeup show and the discounts were OK. Still the staff was incredibly nice and helpful and showed me that this eyeliner has a built in sharpener and smudger on the end, making it super handy. They should show this feature off more! Cailyn Cosmetics Gel Glider Pencil Eyeliner – I tested the eyeliner on the back of my hand and could see remnants of it the next day; which shows the amazing lasting power of the liner. They were barely discounted at the show so I don’t feel guilty about waiting to purchase it later online.